When any new things come in website all people are excited to look new something. 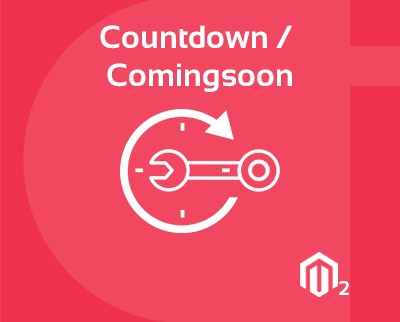 Countdown Extension Magento 2 will help to increase peoples’ patience to show something new in any website. The Countdown Extension Magento 2 gives customers comfortable and efficient way to create a custom countdown page by the store administrator. Using Magento 2 Countdown Extension store administrator can enable Countdown. Coming soon & site maintenance extension works well with my store, no any problems. Easy to install and configure, great work CynoInfotech. I just bought countdown extension, and have issue to install extension. But Great support by cynoinfotech team help to install extension. Countdown and coming soon magento 2 extension makes the customers look forward to something new in website and makes them want to come back on website. Absolutely recommend this!